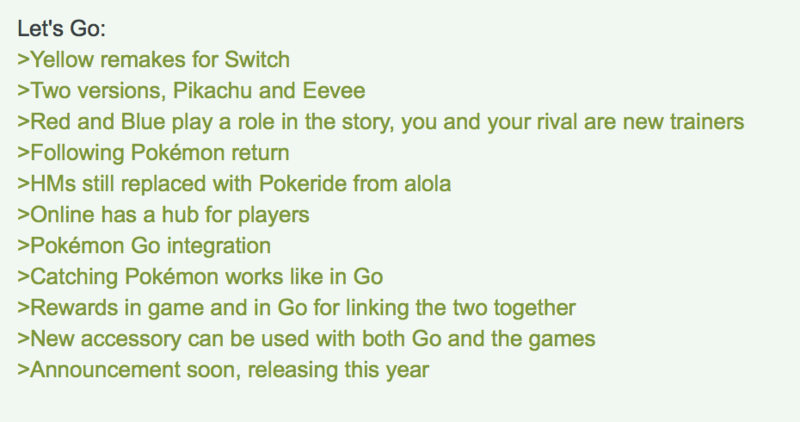 Pokémon for Nintendo Switch Speculation Thread 2 | What Defines a New Thread? MOD EDIT: If the gen-warring in this topic doesn't stop it will be locked until there is an announcement. Contain all rumors, speculation, and general craziness about the new Pokémon games on Nintendo Switch here! Reveal slated for this month according to Emily! PixelPar made a video three weeks ago outlining the hints he dropped! ResetEra's own Emily has some info on the titles! In July 2016, Pokémon Go launched, and became a massive phenomenon, having been downloaded more than 500 million times worldwide by the end of that year. Then, by 2017, overall download numbers increased to over 750 million a year. This all leads to a much bigger question: What lessons should Game Freak and Nintendo learn from Pokémon Go’s success? How could Switch benefit from Pokémon Go’s success, and how could Pokémon Go benefit from Switch’s success? After all, it was Nintendo who released “Pokémon Go Plus”, a bluetooth wearable device, developed by Nintendo’s Platform Technology Division, that allows players to enjoy the game without looking at their smartphone. Would Nintendo ever dare to create more Pokémon Go accessories like that — possibly even for the Switch? As we wait for an announcement on the upcoming Pokémon title, which will be revealed before the end of this month, think about what Pokémon Go might mean for the future of the Pokémon series. I suspect that the naming/branding for this year’s Pokémon Switch title (there’s two versions) might raise a few eyebrows. Game Freak has begun developing a core RPG Pokémon title on Nintendo Switch. It may not release for more than a year, but we hope you’ll look forward to it all the same. I can't wait for Gen 8! welcome to the new thread, same as the old thread. It's too late Bill. No backpedaling now. What does cardboard poop look like? I'm curious. Yeah, sure. Get that cardboard, Bill. Don't you have some cardboard to eat? What happens if the game is revealed? Yay! A wild thread appears! Fitting we get a new thread and a new announcement tomorrow. It was fate. Tomorrow will be the day. Can't wait for the Kalos remakes to be announced today, with even less post-game (the Switch blows up after the credits). Hey, at least you're getting that dietary fiber. Good. If you buy those games you deserve that. I miss the old thread already. There is nothing after the game. Not even life. this is the thread. it will happen. Let this be the thread in which the full reveal hits. I don’t buy Pixelbar being a reputable source. Haven’t seen them break any news. “Pokémon reveal coming soon” when Pokémon was confirmed to be in the works is a pretty safe prediction. Damn, I didn’t think that we’d get to Thread 2 before the reveal. To be honest minus NateDrake no one there is reliable. Let's start off with some nice, wholesome gen 8 names. Lol at having that PixelPar tweet. Isn't that tweet not related at all? Nintendo/GF please save us from this insanity. 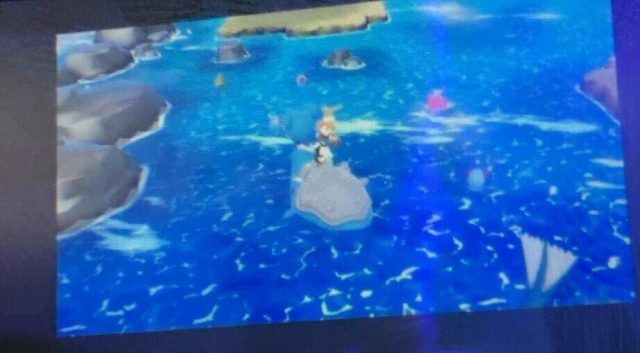 If Nintendo doesn't trot out a live Eevee in their Direct this year I am so done with them.